There are currently 92,365 users on this website. 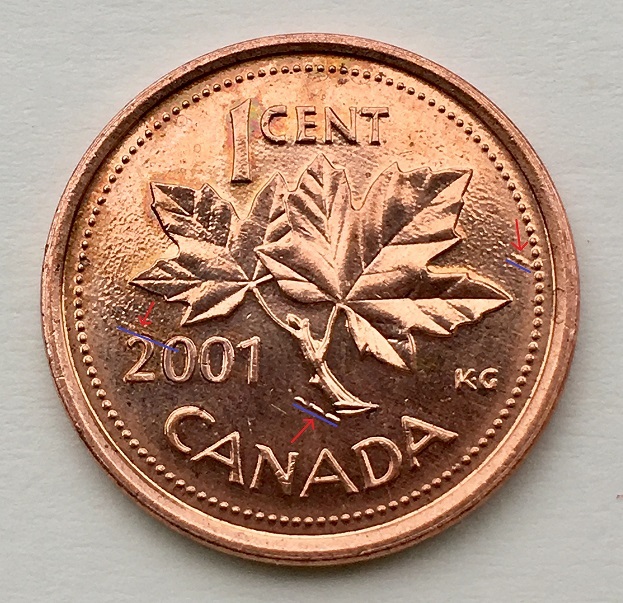 2001 Canada 1 Cent Penny With Die Cracks Or Die Chips? 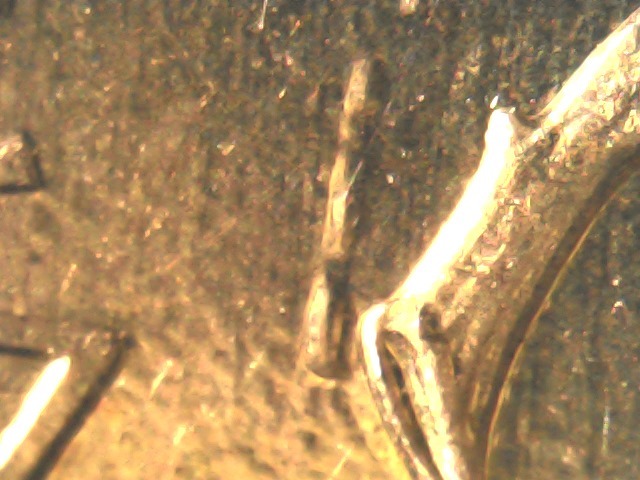 I was looking on Coins and Canada in the Errors and Varieties and I cant seem to figure out witch category these marks would fall into. I was hoping someone on here may be able to tell me what they might be, They are visible with the naked eye and at first I thought they were scratches but upon further inspection they are more like mounds that are built up and not gouges that are scratched in. 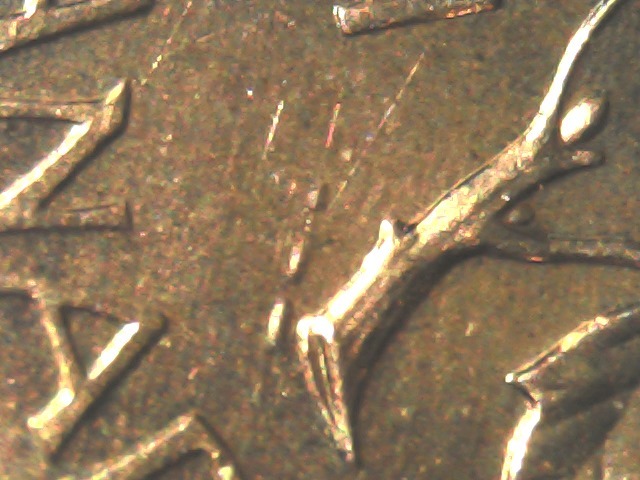 These cents are copper plated zinc. What you see is a plating issue. Thank you for the reply DBM much appreciated. Would this be the same for a 1977 copper penny like this? I just did not want to make a post for the same thing if it were. I'm still learning a lot about coins so some of my questions may seem simple to some people. 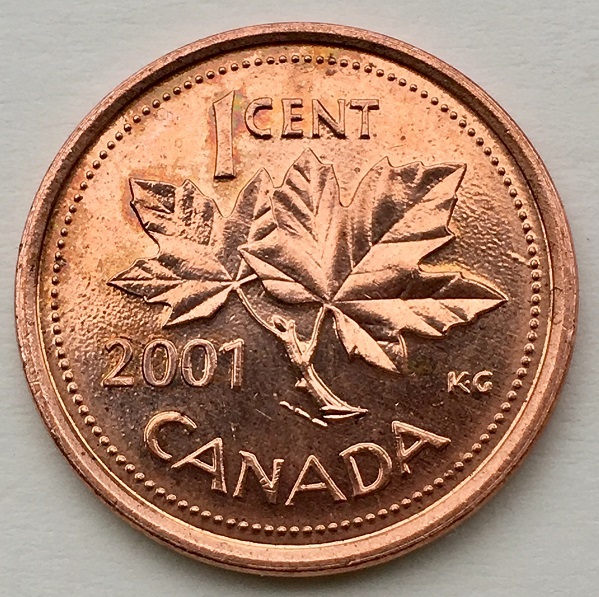 The '77 cent cannot have plating issues like the '01 because it is not plated (98% copper). 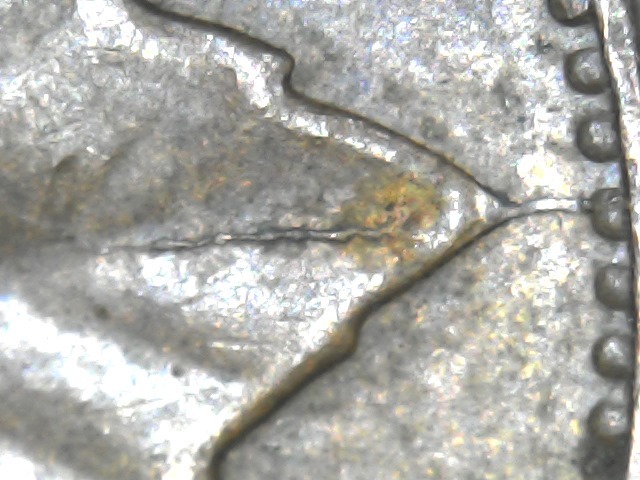 The pic of the '77 shows a true die crack. The 77 is a small die crack. It took 0.82 seconds to rattle this change.